I visited my sister yesterday; she homeschools her children and is currently studying ancient Greek history with her eldest. More than that, they are currently studying Alexander the Great! We had a good chat about who might have killed Philip II and why, what happened to Alexander’s empire after the wars of the successors and how Alexander himself might have fared in battle against other great generals, including Cyrus the Great. Speaking of whom, he is the subject of an interesting new book from the Harvard University Press. As soon as time and money allow, I will definitely be checking out this volume. 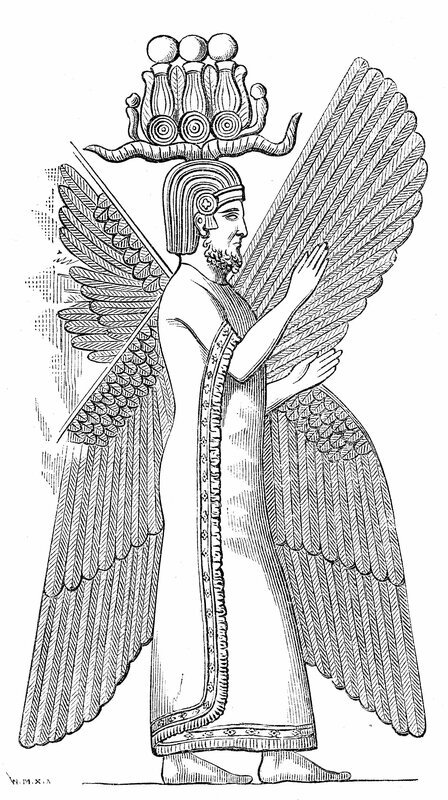 Cyrus, of course, was one of Alexander’s heroes. Their lives intersected, in a manner of speaking, at several points during Alexander’s life. For example, Alexander favoured the Ariaspians (aka Euergetae) for the help they gave Cyrus during his campaign against the Scythian people (Arrian III.27.4-5), and may have had Cyrus in mind when he tried to introduce proskynesis in Bactria (see Arr. IV.11.9); in addition, one of the reasons Alexander chose to cross the Gedrosian desert was to emulate and better Cyrus (and Semiramis) who had done so at the cost of their armies (Arr. VI.24.2-3). 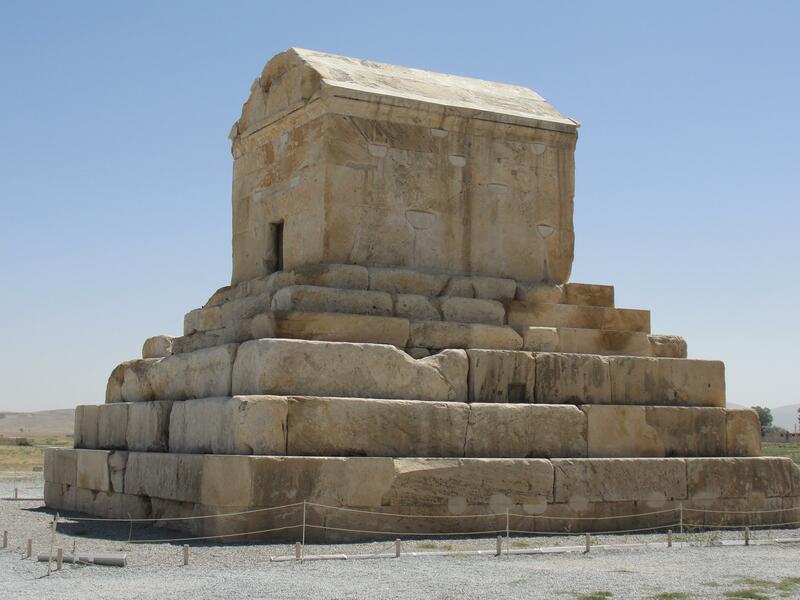 Finally, he made a point of visiting Cyrus’ tomb in Pasargadae, and was very distressed to find that it had been desecrated (Arr.VI.29.4-11). When you consider that Alexander also looked up to Herakles and Achilles, he really was a one-man multiple fandom. Back at my sister’s house, I was happy to see that her study book asks the student to consider why the sources give us certain information and what it might mean. I have to confess that when I first started reading the Alexander historians, I trusted them from start to finish, and it took me several years before I finally said to myself, ‘hold on, I can’t do that’. This was a product, no doubt, of my own laziness of thought and the casual way I read the books back then. Never mind – what’s done is done; coming back to the present, you’ll notice that all the citations above are from Arrian. Very likely, then, he is referencing Ptolemy and/or Aristobulos. A good question to take away from this post, therefore, is why they – or Arrian’s sources in general – might have decided to highlight Alexander’s connection to Cyrus the Great. This week, the American Senate published a report into the use of torture by the CIA following the 11th September attacks in 2001. You can read about it at The Daily Telegraph here. The report got me thinking about how often torture is mentioned by the Alexander historians and in what context. As I have Arrian’s, Curtius’ and Plutarch’s books in e-book format I typed ‘torture’ in to the search field to see what came back. Here is what I found. Arrian only mentions torture twice, and both times in connection with the same incident (in VI.30). In the winter of 325 B.C., Alexander reached Pasargadae, on his way back to Babylon from the Hyphasis River. There, he stopped to visit the tomb of Cyrus the Great. Much to his distress, Alexander found that the tomb had been ‘broken into and robbed’. Aristobulos was given orders to restore it. … had the Magi who guarded the monument arrested and put to the torture, hoping to extort from them the names of the culprits; but even under torture they were silent, neither confessing their own guilt nor accusing anybody else. In consequence of this, Alexander was obliged to release the prisoner. What comes out most strongly when reading this passage is the matter-of-factness of it all. Alexander suspected the guard of wrong-doing, had him arrested and tortured, then released him. End of story. For his part, Arrian makes no judgement regarding whether he thinks the torture justified or not*. Given that he is not afraid to criticise Alexander on other occasions when he thinks him in the wrong I take Arrian’s silence to be acceptance of what happened. It’s possible he doesn’t care to make a comment but would that be his style? The word ‘torture’ appears three times in Plutarch’s Life of Alexander, and in connection with two separate incidents – the Philotas Affair and Pages’ Plot. … Philotas’ enemies brought innumerable accusations against him. He was arrested, interrogated and tortured in the presence of the king’s companions, while Alexander himself listened to the examination from behind a curtain. This is the reality of torture that Arrian omits. For his part, Alexander is unmoved. In fact, Plutarch has him criticise his old friend. I suppose from Alexander’s point-of-view it is a fair question. Whether or not Philotas was really guilty, though, is entirely another matter. That, however, is an issue for another post. To go back to Chapter 49, Plutarch notes that Philotas’ execution and his father, Parmenion’s murder, by Alexander caused the king to become ‘dreaded by many of his friends, above all by Antipater’. The viceroy had particular reason to worry – not so much because of Parmenion’s and Philotas’ death – but because Alexander also took this opportunity to finally execute Alexander Lyncestis, whom he had held under arrest for the last three years on suspicion of treachery. This Alexander was Antipater’s son-in-law and had been arrested in Asia Minor but I think Alexander did not want to risk executing him there in case doing so caused a confrontation with Antipater. Now, the viceroy approached the city of Aetolia to make an alliance with them. Plutarch does not tell the full story of the Pages’ Plot. As Curtius does, and we’ll come to him in the next post, I won’t go into the details here. In Plutarch’s version, it appears that after the Pages’ conspiracy was discovered Alexander’s agents learnt that (its leader) Hermolaus had asked the court historian, Callisthenes, ‘how he might become the most famous of men’ to which Callisthenes had replied ‘By killing the most famous of men’. Callsithenes spoke most unwisely. He may have been Alexander’s historian but was not liked in the court. He was proud and vain. This had lead him to refuse to do obsequience to the king when he had demanded it*. That in turn gave his enemies the opportunity to slander him. If Callisthenes had gone no further with Hermolaus perhaps he might have got away with his loose tongue. Instead, Plutarch says that Callisthenes encouraged Hermolaus to assassinate the king. This, too, came to the agents’ attention. … not one of Hermolaus’ accomplices, even under the stress of torture, denounced Callisthenes. Indeed, Alexander himself, in the letters which he immediately wrote to Craterus, Attalus and Alcetas, says that the youths had confessed under torture that the conspiracy was entirely their own and that nobody else knew of it. This was not enough to save Callisthenes’ life. The conspirators were executed and Callisthenes arrested. His eventual fate depends on who you read but the different accounts all end one way – with his death. For the record, Plutarch doesn’t say that he was tortured. As for the Pages, though, Plutarch gives no further details regarding their torture. So, there we are, and I have to say that I was quite surprised by the scarcity of references to torture in Arrian and Plutarch. Luckily for me, although that is probably not the right word to use, I know that the word crops up quite a few times in Curtius. Well, he is supposed to be interested in the lurid side of Alexander’s life. Another surprise was that Arrian does not mention it with reference to Philotas at all. Philotas’ supposed treachery is mentioned but Ptolemy – Arrian’s named source for the story – says that Parmenion’s son was put on trial, accused with ‘irrefutable proofs’, and then shot. I wonder if he glossed over what happened out of embarrassment over Philotas’ and Parmenion’s treatment. As Darius moved north, Alexander marched south from Cappadocia. He stopped in an area known as ‘The Camp of Cyrus’. This was named after Cyrus the Great who ‘maintained a permanent camp’ there when he went to fight Croesus in Lydia. The camp was fifty stades (five miles) away from the Cilician Gates. The ‘Gates’ were actually a rock formation in a narrow defile. Their name came from the fact that they looked like they were man-made, and they afforded the only means of entering Cilicia, which was bounded by the ‘rugged and precipitously steep’ Taurus mountain range. The governor of Cilicia was a man named Arsames. He had it in him if not to defeat Alexander then at least to inflict upon him a critical defeat that could in turn have led to the undermining of the whole Macedonian campaign. In order to achieve this, Arsames needed only to post a small force on the ridge overlooking the defile. Curtius says that the the defile ‘could barely accommodate four armed men [walking] abreast’. Picking them off, therefore, would have been easy. However, Arsames chose instead to do what Memnon of Rhodes had recommended before the Battle of the Granicus River; namely, to lay waste to the country and starve Alexander into submission. He did so ‘with fire and the sword’. Destroying anything ‘that might be of use’ to his enemy. Thus, Alexander – to his surprise and delight – found the Cilician Gates unguarded. He passed through them and marched on to Tarsus. It would be inaccurate to say that Arsames totally ignored the Gates. Curtius tells us that he posted guards to the three mountain passes (of which, only the Cilician Gates provided entry into the country). However, after hearing that the satrap was destroying the countryside the guards deserted believing that they had been betrayed. Curtius describes how the Cilician countryside ‘levels out’ as it approaches the sea. This flatness, he says, is ‘frequently interrupted by streams’ including two ‘famous rivers’ – the Pyramus and Cydnus. Of the Pyramus he has nothing else to say, but the Cydnus now takes centre stage in Alexander’s story. What was the river like? Well, it was neither a particularly deep nor violent one. In fact, it ran very gently ‘with no torrents breaking into its course’. Curtius doesn’t mention any mythological being associated with the Cydnus. Perhaps its gentility gave the impression that it was a rather boring river. Maybe it was, but if so, the Cydnus was a valuable one for it ran over ‘pure soil’. It contained no stories but it helped men live so that they could tell them. Like the Marsyas, the waters of the Cydnus were very clear. They were also very cold, for the river ran underneath the shade of its banks. Lest we think that its clarity and clearness were all the Cydnus had to commend itself, Curtius adds that at its headwaters (i.e at the source of the river) there were ‘many monuments popularized in song’. He says ‘They were shown the sites of the cities of Lyrnesus and Thebes, the cave of Typhon, the grove of Corycus where saffron grows’. By ‘they’, I assume Curtius means the Macedonians. Unfortunately, they did not see too much as the monuments and cities were but ruins or even just memories in the air with no earthly trace left. The cities had fallen, and nature reclaimed her land. Alexander arrived in Tarsus in August. The weather was boiling hot. As it happened, the Cydnus passed through the city so he went to bathe in it. Now, you might think this would be a thoroughly innocuous act. What happened next, however, made it a very significant, and nearly fatal, one. Alexander had barely taken a step into the water ‘when he suddenly felt his limbs shiver and stiffen’. He was rushed back to this tent, seemingly on the point of death. As Alexander’s friends clear the way and carry their king to his bed, I would like to look very briefly at how he – Alexander – used the river as a propaganda tool. The main purpose of his visit was to bathe. However, in so doing, he considered ‘that it would also add to his prestige if he showed his men that he was satisfied with attention to his person which was plain and unelaborate’. That’s Alexander. He could probably have found a way of making the act of picking the dirt from between his toes a heroic one. As it is, Alexander’s purpose has its origin in the days of his youth when he was taught by the austere Leonidas. It also reminds me of how he used his good treatment of women as a way of proving his superiority to the Persians (see here for more details). After being taken to his tent, Alexander remained there until his physician, Philip of Arcanania, had cured him of his illness. This covers the rest of Chapter 5 and all of 6. If you would like to read more about what happened, see here and here. After Philotas’ execution, Alexander stayed in Dranginê (Drangianê) just long enough to ‘settle’ the region before moving on. He next entered the country of the Arimaspians, also known as the Benefactors. This name had been bestowed on them by Alexander’s hero, Cyrus the Great (600/576 – 530 B.C.). As Diodorus relates it, the founder of the Persian Empire had been campaigning ‘in the desert’ when he ran out of provisions. Desperate for food, his soldiers began eating each other. For reasons Diodorus does not explain, the Arimaspians came to Cyrus’ aid with no less than thirty thousand wagons filled with food. In gratitude, Cyrus exempted the tribe from paying taxes as well as giving it ‘other marks of honour’. He also abolished their name, replacing it with ‘Benefactors’. I suppose it is possible that the Benefactors acted out of the goodness of their hearts, though it is – admittedly – more likely that they were ordered to help, or else did so to secure political advantage. If the latter, the two hundred years since Cyrus’ death had seen no diminution in the tribe’s political acumen. For when Alexander entered Arimaspia, they ‘received him kindly’. No doubt eager to emulate his hero as much out of gratitude for the welcome Alexander ‘honoured the tribe with suitable gifts’. This pattern was repeated with the Cedrosians (aka Gedrosians). Finally, Alexander appointed a man named Tiridates to govern both peoples. As is his wont, Diodorus now changes tack completely and returns to the subject of Satibarzanes. While Alexander was occupied with the Benefactors and Cedrosians, word came to him that the errant satrap ‘had returned from Bactria with a large force of cavalry to Areia [Aria]’. Perhaps because he was eager to continue east, Alexander opted not to turn back himself in order to deal with the traitor. Instead, he appointed one of his long-time friend, Erygius, and Stasanor to lead an army against him. For his part, Alexander continued east, entered Arachosia, and conquered it in a matter of days. Diodorus’ account of the Benefactors is a lovely feel-good story. Of course the Arimaspians acted towards both Alexander and Cyrus out of self-interest but we shouldn’t let that detract from the sweetness of the moment. The fact is, both kings could easily have responded violently had they wished. But both were better than that and all was well that ended well. In case the name of Erygius is not familiar to you – he was one of Alexander’s friends who took part in the Pixodarus Affair in 337 B.C. (and which I wrote about as part of my series on Plutarch’s Women here).